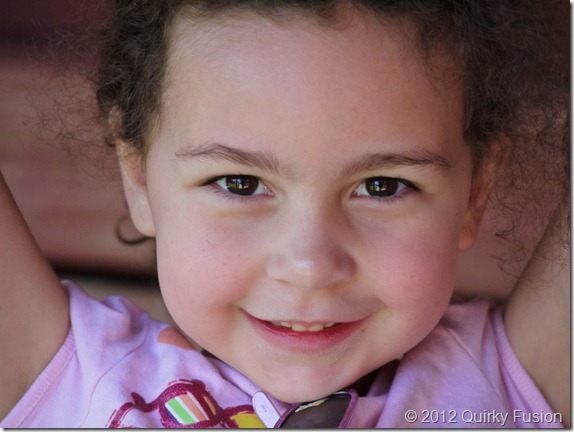 I already knew that Tegu was a cool company. 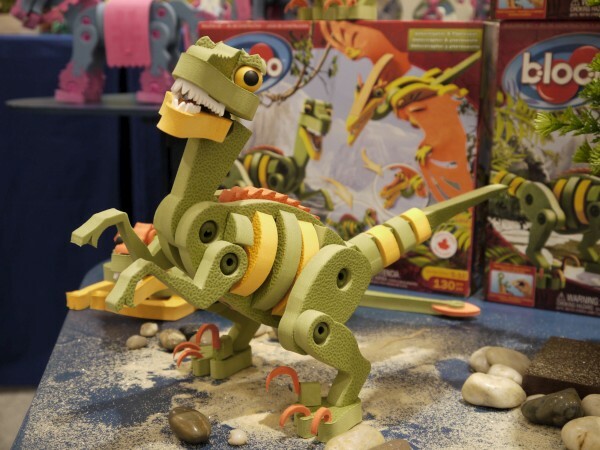 After all, I highlighted them as one of my favorite construction toys from Toy Fair. But when I agreed to review and give away Tegu blocks on my 40th birthday, they sent me a little virtual treat – a Tegu cake! How cute is that? 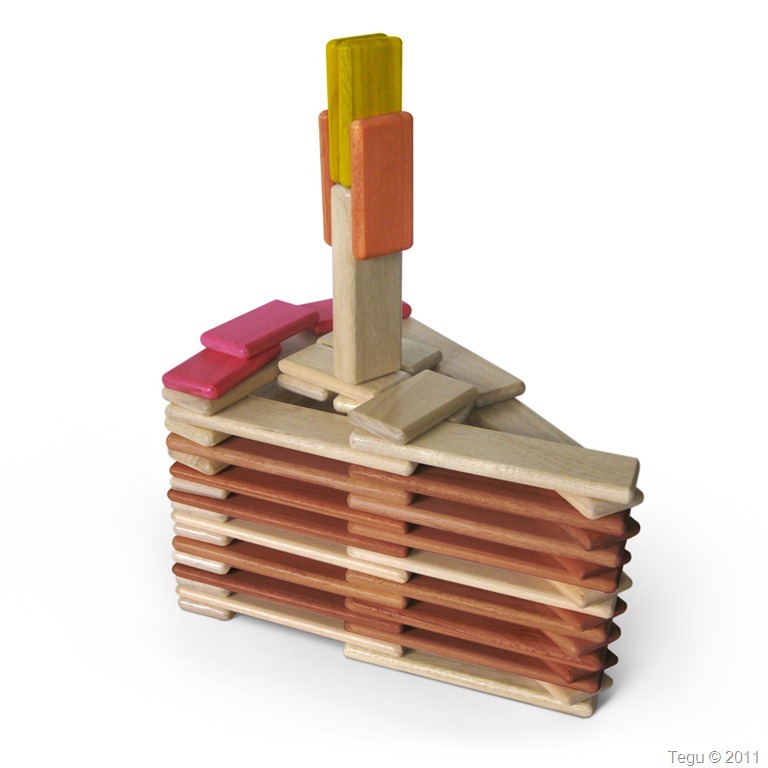 If you’re new to Tegu, you should know that they make magnetic wooden blocks. Not only that, but they make their magnetic wooden blocks in Honduras, providing quality work for the local population and practicing sustainable wood harvesting. 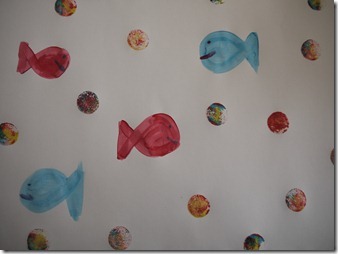 The materials are completely safe, even the colors are made with water-based and non-toxic. I could go on and on about the company, but I’d encourage you to read about it on their site. 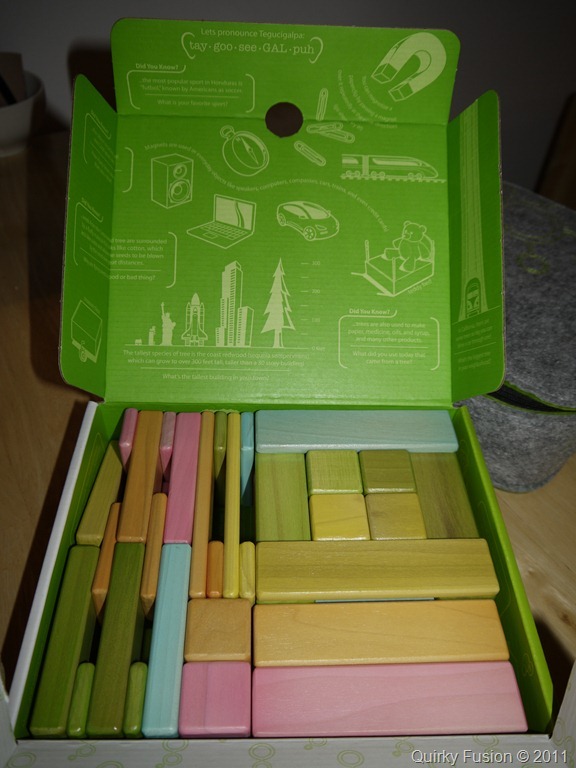 Tegu sent me their Tegu Tints 52-piece Original set. The colors are like different flavors of sherbert, and they are just perfect for spring. You can see them in the picture on the right. Don’t they look delicious? Even the box is beautiful. I waited quite some time before allowing anyone to take them out of the box! Tegu also makes Natural, Mahogany, and Jungle (natural, green and mahogany). The Tegu Tints are pink, yellow, orange, blue and green. Each one is slightly different and I love that they have personality. 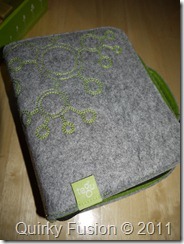 Tegu also sent along the Tegu Tote, which is a beautiful gray felt with the Tegu logo in green. The inside is all green. I love it! It’s large enough for the Original Set, but don’t be surprised if you see me carrying it around with cool stuff in it. It seems almost a waste to let the kids have it. 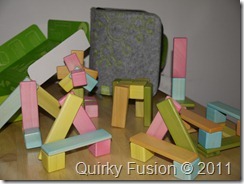 It’s fun to watch kids play with Tegu blocks. Because they have magnets in them, you can’t always put two blocks together in the way you expect. The magnets repel each other. 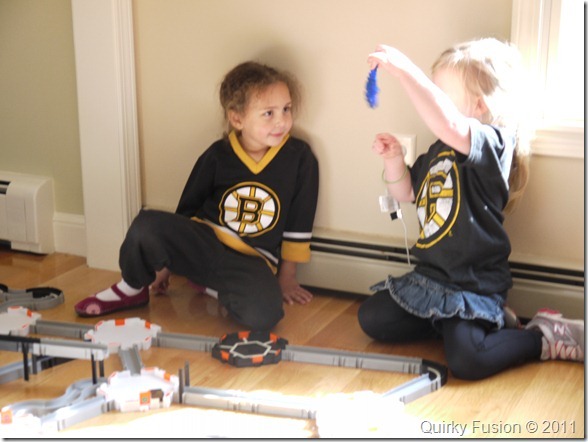 Kids have to learn to try the blocks in different directions to get the magnets to attract. We got our first set of Tegu blocks from my mom, who was a bit skeptical about the cost of the set (the Original sets retail for $125, depending on finish). But because they blocks are magnetic, you can do a lot of things with them that you can’t do with other blocks. 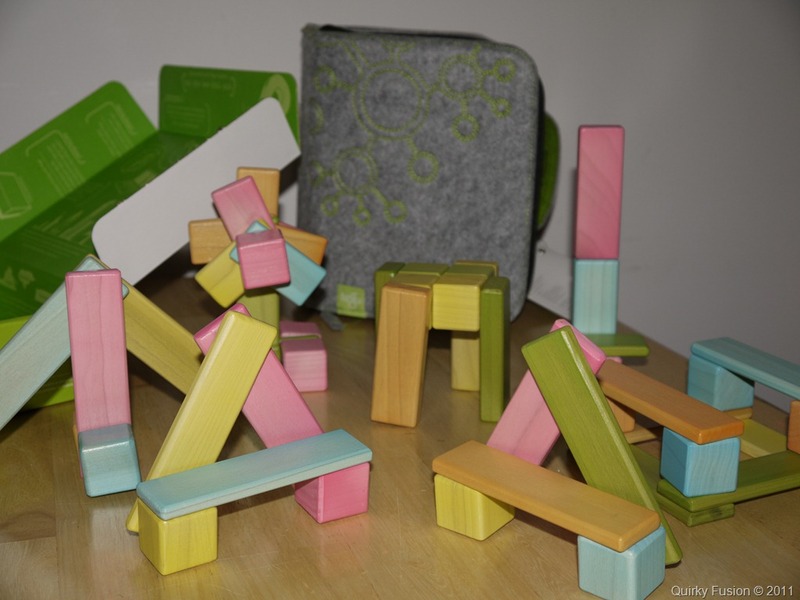 Tegu blocks can be used on their own, or as a complement to another block set you may have. You can see how much fun the Tegu blocks are just by themselves, though. You have to click on the picture of the playground on the right to get a sense of how beautiful these blocks really are. 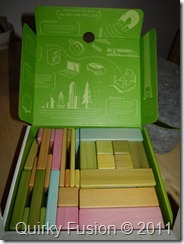 I’ll be hosting two giveaways for Tegu blocks this month. One will start later today, and one in another couple of weeks. Get ready to enter! Disclosure: I received the Tegu Original Set and Tegu Tote for review purposes. 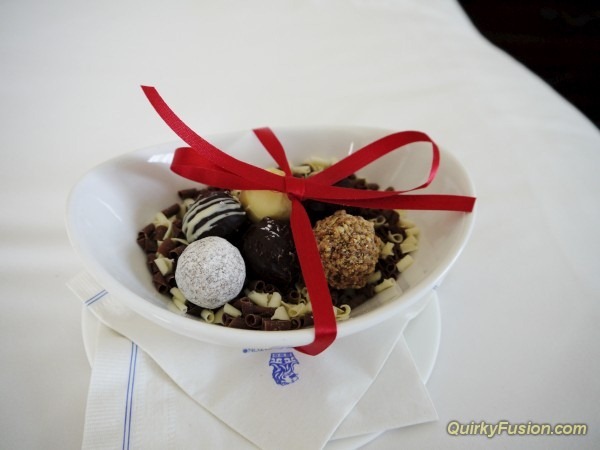 There was no promise of a positive review and the opinions in this post are my own. Building Engineers? Construction Toys at Toy Fair Happy 5th Birthday, LadyBug! Happy Birthday, ASIMO! Happy Birthday to Dr. Seuss! A Fabulous 40th Birthday Week Indeed Happy Birthday to My Game Changer Show Off Your Transformers Fan Status with Cool Gaming Accessories Halloween HEXBUGs Crash Our Boston Bruins Birthday Party! I would build a little village for my son’s Matchbox cars to drive through. Wow! Those are pretty cool! Those are really neat! I would create little cages for my nieces toy zoo animals. I would love to see my son build a giraffe with them. 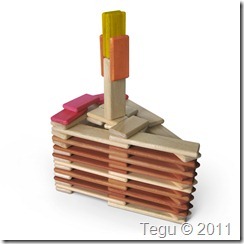 I’ve been to the Tegu site, and that ‘master’ can build pretty much anything!